Alexander at A delaide: Alexander McCall Smith is thrilled to return to Adelaide Writers’ Week in 2018. Join one of Australia’s favourite writers as he celebrates the 20th anniversary of first publication of The No.1 Ladies’ Detective Agency. With his customary wit and warm words, Alexander will charm readers and those new to his books with his infectious laugh as he offers an insight into his latest stand alone novel, The Good Pilot Peter Woodhouse, along with all the news from Precious Ramotswe and his beloved Botswana. An event to uplift the spirits and match the warmth of the sunshine. Please note that this event is organised by the Adelaide Writers’ Week. 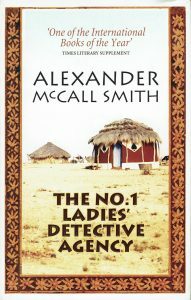 The Alexander McCall Smith webteam have no responsibility for content or delivery of the event.